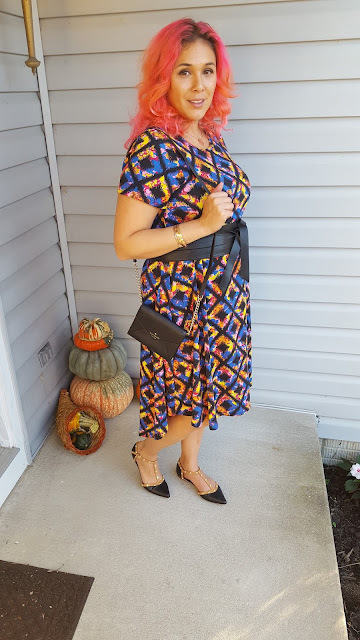 I hosted a Lula Roe and Stella Dot shopping party Sunday and I got this FABULOUS Carly dress. Once I put it on I refused to take it off. 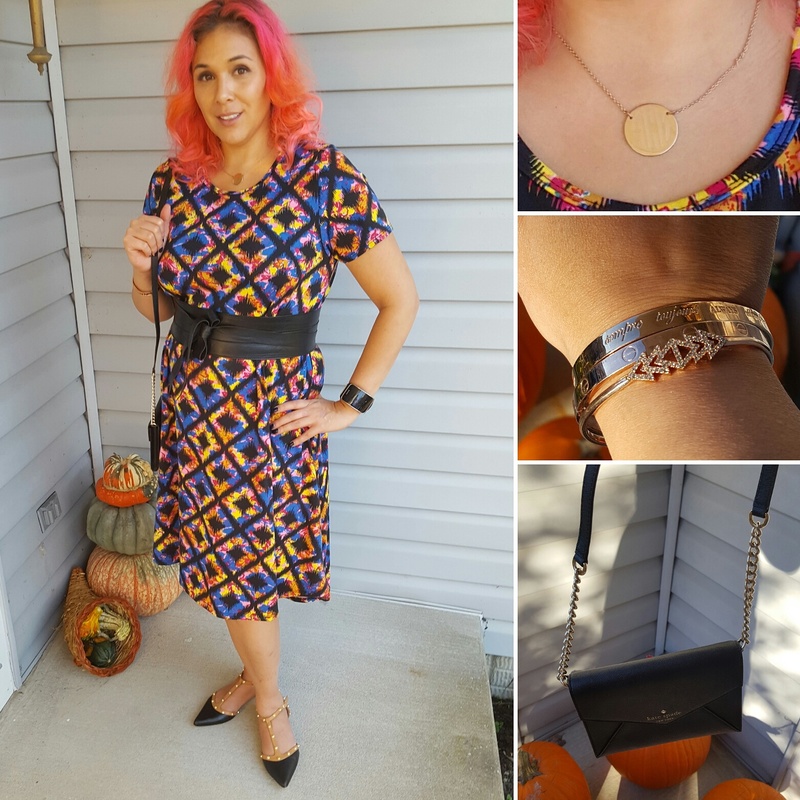 I paired it with the awesome obi belt from New York and Company and some rose gold Stella Dot jewlery and I got loads of oos and ahhs. Here's the details. 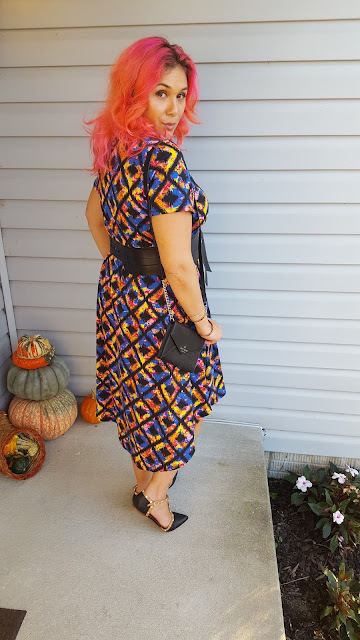 This is my favorite pattern yet and I got it free for hosting a party at my house! I also have a super soft grey/green one, a navy sweatshirt material one and a few other fun patters. It's a great dress. It's currently buy one get 50% off one. 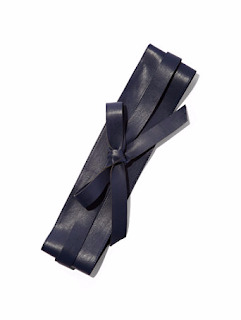 Love this belt its the perfect accent on most dresses. See how to tie it here. The picture is in Navy but my belt is black. 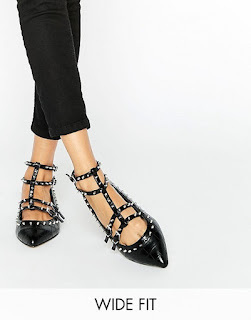 This is an amzing deal on some seriously fantastic studded flats way cooler than my expensive Halogen ones. 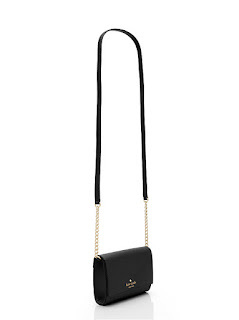 This cute little bag homes my phone and a credit card and id. Perfect for going out or a party. P.S. the blue and purple are on sale. 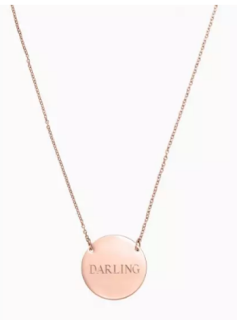 I love this necklace so much I gave one to Jenny when she got married with her new initials. You can engrave it lots of different ways. 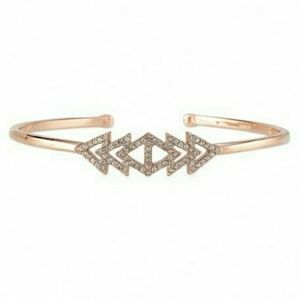 This is an elegant little cuff at an amazing price. 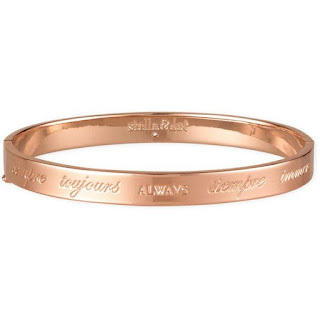 I love this bracelet and all that it stands for.